Running martingale attachment snaps to chest ring on breastcollar. 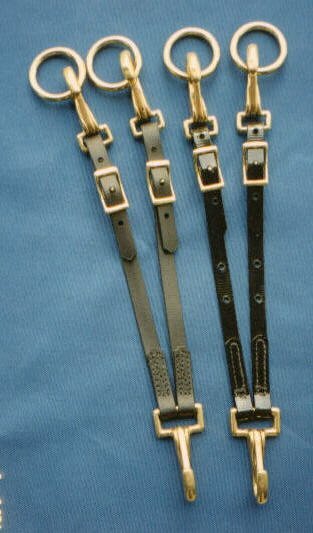 Adjustable length, snap attaches with Conway buckle. Comes with rings you leave on your reins. Don't forget you need rein stops between the ring and the rein snap or buckle. $20.00 with brass hardware. $25.00 stainless steel. Most biothane and beta colors available.